Monster-Blood Tattoo: Grasping the nettle. Well, it has been a while (understatement of the day so far...) Below is my first faltering steps into what I hope/intend will be Europe's "back story" (ugly phrase, but the best way to describe things here). It is not in any way edited or vetted, just straight from draft to you. When the Duke and Duchess Magentine of the great city-state of Naimes declared themselves pregnant the good people of that long city-state heaved a deep, collected sigh. For well beyond the last century Naimes’ ducal line had been dangerously thin, producing only a single heir for five of the past six generations. Beset on every border by rival cities all denouncing their common neighbour an illegitimate state founded by squatters and usurpers, the citizens Naimes had suffered long with doubt and fear; boundary parishes raided, stores and factories burnt or worse, bombed by clandestine dissenters, innumerable walls pasted with anti-ducal bills claiming all manner of wild and dishonest things. Worst was the ever-lurking, never-mentioned dread of assassination, of the collapse of their ruling line and the city with them. Happy for all the Nomine peoples then, that that the young duke’s even younger wife, Euodia, came from a famously fertile line. When the Duchess of Naimes grew duly great with child late in the very first year of her union to the Duke, she proudly stood upon the balconies of the Window Obvious to display her swollen belly to the pressing rapturous delight of her crowding subjects in the square below. By signal of the weather, the shape and height of the duchess’ swelling, the manner of her increasingly waddling walk and the flow of her humours, the court prognosticators declared the outcome most certainly a boy. All the seers and wiseacres of the city concurred and the citizens Nomine held joyous galas and ebullient toasts and breathed a little easier, their stability of life for a generation more apparently at last secured. Yet – alas! – on a heavy, storm-wracked night – an excellent sign for the birth of so significant a child – of snow-locked Middlemonth of HIR 1566 the happy auspices of the court prognosticators were quickly reversed as this first issue came screaming into the world a girl. Never-the-less, so inflated were the peoples collected hopes that any initial disappointment amongst the lofty or lowly was soon swallowed in the renewed expectation of many more chances to come. Mother and child thrived, and soon enough the Duke’s firstborn was presented amongst much ceremony in the columned vastness of the Hall of Pageants with is wide view out onto the newly finished Grand Palide Boulevardte. Amidst clattering timpanies and marching soldiery, the great and mighty of Naimes gathered in a wonder of colour and glittering weapons worn for genuine purpose as much for display. For the duke had perhaps foolishly granted notable personages and sceptical observers from Naimes’ hostile neighbours – Vauquelin, Haquetaine, Westover, Castor and Maine – to attend and see the child herself and despair of their own empty claims. These were collected in a sullen group upon the north wing of the Hall of Pageants, watched by quartos of their own lifeguards and larger platoons of the Duke’s. In easy eye-shot but in a seat of much greater honour were collected an honoured contingent of Imperial Secretaries, for it was as much the will of the Haacobin Emperors far to the north that kept Naimes unmolested as an unbroken line of ducal rule. … a mouthful her mother promptly shortened – following the way of her family – to Europe. Dabbed with the Sanguine Water upon her brow for wisdom, her lips for clarity and her throat for compassion, infant Europa Magentine was finally signified before all as a true heir of Naimes. Strangely silent for one so new into this darksome bustling world, baby Europa squirmed only once when the Arch-Lineate accidently prickled her tiny and impertinently grasping hand with the Historied Thistle. All agreed this was a very good thing: “a pleasing show of pluck,” was the murmur amongst the mighty gathering, while some ruder fellows at gloomy far end of the hall called out, “Our duchess grasps the Nettle!” – a call that was quickly transmitted to the common crowding citizens pressing and eager in the grand square before the Hall of Pageants. OUR DUCHESS GRASPS THE NETTLE! they cried, the muffled din of it echoing back into the hall. OUR DUCHESS GRASPS THE NETTLE! The secretly mortified clerks administering this particular part of service could have sworn the tiny babe beheld him with an almost condemning glower of disconcerting clarity. With that the cheers went from proper formulas to spontaneous elation; all the people within and without united for that wondrous moment in their joy: Naimes would stand for another generation. The foreign observers did not join the raptures: the best among them simply clapped where they stood while most remained obstinately seated and muttered to each other darkly and showing. Future secured, the mightiest family of Naimes lead a great procession back to their ancestral courts where they presented themselves along with the Duke’s Mother – sad and infirm – at the Window Obvious for the milling mass of lesser folk to behold. OUR LITTLE DUCHESS GRASPS THE NETTLE! NAIMES FOR ALL AND EVERMORE! “A bundling boy could have done no better,” the Duke whispered close to his Duchess’ ear, grinning in self-forgetful delight at his daughter and then out at the jubilant throng. So thunderous was their exultation – the Duchess was fond to repeat for years to come – that Europa stirred in the cuddling thick furs that proofed her against both the cold and harm, and stared at her subjects with a strange and dark-eyed wisdom. So good!! Can't wait to read more! It is great to hear more from the Half-Continent! We love Europe and we love your work. Keep it up. hostile neighbours – Vauquelin, Haquetaine, Westover, Castor and Maine – to attend and see the child herself and despair of their own empty claims. These were collected in a sullen group upon the north wing of the Hall of Pageants, watched by quartos of their own lifeguards and larger platoons of the Duke’s. In easy eye-shot but in a seat of much greater honour were collected an honoured contingent of Imperial Secretaries, for it was as much the will of the Haacobin Emperors far to the north that keep Naimes unmolested as an unbroken line of ducal rule. Dare I say this part is exciting. Oh! The intrigue. More Europe is always welcome! As is anything new from you. Huzzah! always glad to read more...It´s been a desert in the reading compartment. Awesome! Reading about Europe's birth and her heritage was so great! I can't wait to read more. I want to know why she left her native home to become a Fulgar and why she resides in Brandbrass rather than Naimes. What was it like in Sinster? How was she trained?. What's the story behind her attending school with the Lady Vey? So many questions!! Welcome back, Mr Cornish! You have been sorely missed. How excited was I to wake up this morning to discover new adventures in the Half Continent awaiting me. Europe's strange and dark-eyed wisdom promises so much. I often wondered what more thoughts, knowledge and experience was behind her eyes when she helped Rossamund. I am hooked in already. Thank you continuing this fascinating story. O frabjous day! Callooh! Callay! Welcome back, Master Cornish. What a wonderful surpise. I was instantly transported back to the Half-Continent. Thank you for sharing with us! Well-a-day to you, Master Cornish! And a well day it is! I'm sure posting this is more of a relief to you than it is to us! I am very proud that you've been continuing your work in the Half-Continent, and I pray it gains its due attention and admiration! Yes indeed, a joy to receive the email and like everyone else looking forward to reading more from this richest of all world/word builds! So damn excited for this. I checked forlornly for an update only a few weeks ago and then suddenly BAM, this! A story for one of my favourite all-time characters. Thank you for sharing. Ladies and Gents, he's back! HES BACK! seriously though, its been a long time. I hope everything is going well. Will there be an explanation or a discussion of whats coming up soon? Hope you are happy to grasp the quill again and lead us enraptured readers into the similar but sinister world of the HC- where kindness and virtue vie with grasping greed and privileged prejudice. Where or wence the path leads we follow faithfully. Man, I've been checking back on this blog for years, and almost lost hope ;( so glad to know that Mr. Cornish is still out there, and still writing stories about one of my favorite places ever written about, right along with Middle-Earth :D. Thank you so much for writing this, I know it might not mean much but know that you have a fan in me. It's positively exciting to see more of your incredibly well-crafted world! Good to hear you’re here and back at it again! Man I am so excited to see a new writing from the Half-Continent! The world you've created is too detailed and wonderful to be left untouched! Bravo! Thanks! I wait in anticipation for more. I am on my second read of the trilogy and am so happy to be back in the Half Continent. Your writing is so fluid and rich. A joy to read. I can only imagine the energy and intensity required for you to write so eloquently. All I can say is I look forward to any future volumes and please count me as another fan. Love your work! And best wishes for your new born. I am more excited than I have been in years. You have made my night. I have read more books than I could ever count but I have never read any yet that can even come close to comparing to your work. 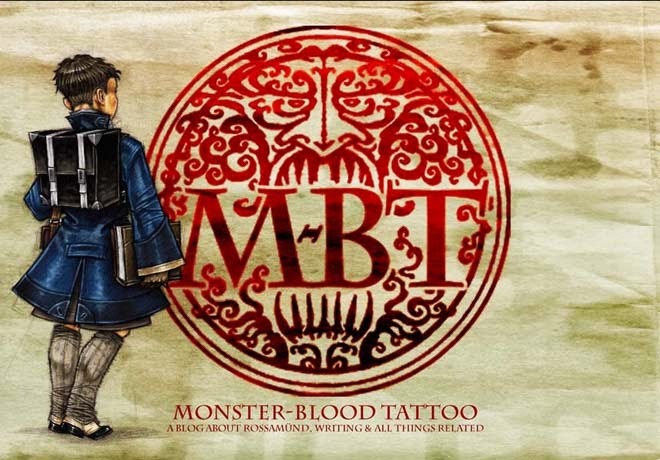 Your Monster Blood Tattoo series is hands down my favorite series to date. Mr. Cornish I am just delighted that you're writing again in the HC! I always keep several copies of the MBT trilogy on my shelf, readily giving them to any and all who show interest - most recently, 2 college-age ladies from my church who're English majors and want to be fantasy authors themselves, and they are loving it (of course)! Please know that, however long it takes you, we fans will always be here ready to read (and buy!) your works. If you're ever in the US, I hope you'll come to Cleveland! God's rich blessings on you and yours!! Good to see you back at it. Such a interesting world I cant help but want to hear more from it. Return to the adventure of Economous, and the fascinatingly christened instrument, Miserichord. You were stagnating and unable to see your next step. But that is past. The time has come! Sounds like a wonderful start to something truly grand. Can't wait to find out more about Europe and the Half Continent! Hope to hear more from you soon Sir Cornish. Cheers from Tennessee. Do you wish to give your child life lessons the gift of imagination?Are you looking for more wholesome children’s books for your kids then read Ronald and Juanita Destra books. 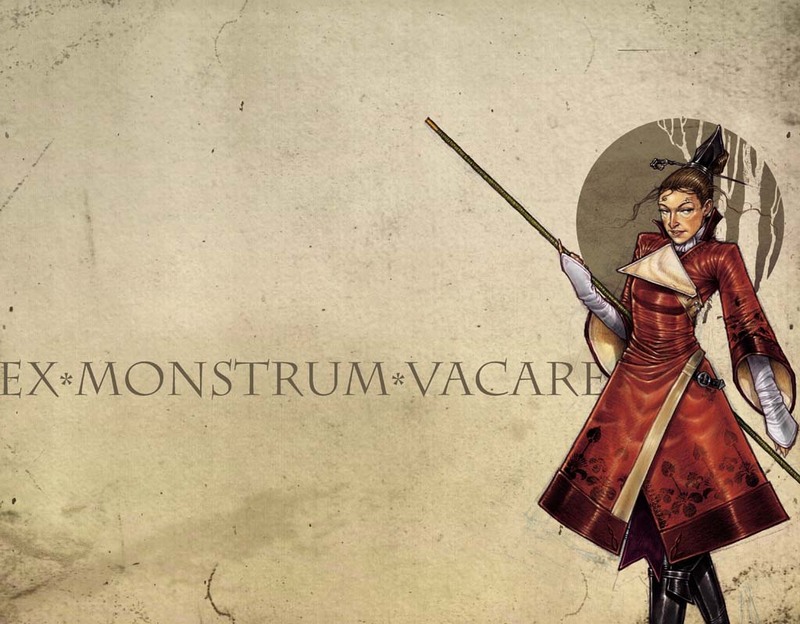 I'm currently on my second go-through of the Monster Blood Tattoo, but I must say my sons and I enjoyed it so much the first time we found suitable 28mm miniatures for a few characters, lamplighters, and bogles. With these we've created tabletop battles in the Half-Continent. I'm always thrilled to return to this world. Of all the fantasy worlds I've ever traipsed through, your Half-Continent remains one of the most haunted, beautiful, and thought-provoking places there is. Period. Hoping to punch my return ticket to the HC sooner than later. Hello! I've recently started reading your trilogy and I'm currently on the 3rd book! 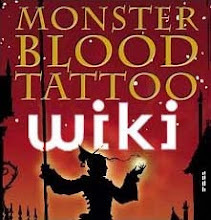 I've been reading that there was announcement of a directed and such for a possible Monster Blood Tattoo movie, but there isn't any recent news on it. What do you know about it at the moment? I hope you are able to repsond! I just re-read The Foundling's Tale (as it's called here in the States) for the umpteenth time, and it remains one of my absolute favorite fantasy series. I hope you will publish more books set in this fabulous world (even more Europe would make me positively ecstatic, but honestly I just want to read more regardless of main character). Hope life is treating you well otherwise! Yes to all above comments, I humbly and somewhat patiently await more of your beautiful writing and startling imagination mr Cornish. Drip feed us as you can. I've been looking all over for this. I wish I could email you, but the email button doesn't work. How do you come up with the names for things? Do you just base it off of latin? It’s really great information for becoming a better Blogger. Keep sharing, Thanks. For more details to visit Tattoo Artist. I have re-read the lamplighter series almost 5 times now in the last couple of years and am hungry for the next story. I know it's not the finale of our heros. Will rossumund grow to be a young man in his wild worlds, what happens after Europes visit to repair her humours...I know more awaits...You have sparked our imaginations and brought us to a world we want to revisit.